Kwan Kiat currently heads the firm’s Restructuring & Insolvency practice group, which is the largest dedicated legal practice in the country dealing with banking and financing disputes, corporate insolvencies, business advisory, workouts and debt restructurings, and enforcement of creditors' rights. Kwan Kiat is cited and recognised in the field of restructuring and insolvency in Chambers Asia-Pacific, Asia Pacific Legal 500, IFLR 1000, Asialaw Leading Lawyers, and Best Lawyers (6th and 7th editions). In addition, Kwan Kiat regularly acts for clients in a wide variety of commercial disputes, including banker-customer disputes and shareholder disputes. He is also active in arbitration, having advised and acted for clients in several multi-million dollar arbitration disputes. 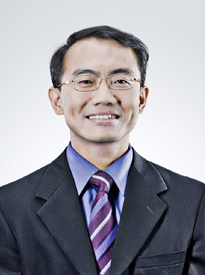 A regular speaker at seminars and conferences, both local and overseas, on the law of banking, credit and security, insolvency and debt restructuring and recovery, Kwan Kiat also teaches Insolvency Law and is the Deputy Subject Coordinator for the Insolvency Law and Practice course for the Singapore Bar Examinations. Acted for lenders in the debt restructuring and judicial management of Mercator Lines (Singapore) Limited (“MLS”), an international dry bulk shipping company listed on main board of the Singapore Exchange, with total debt exceeding US$155 million. Acted for Ley Choon Group Holdings Limited (“LCG”), listed on the main board of the Singapore Exchange and its group of companies in its debt restructuring with total debt exceeding S$100 million. LCG is one of the largest underground utilities infrastructure company in Singapore, with key businesses in underground utilities infrastructure construction and maintenance, sewer pipeline rehabilitation, road and airfield construction and maintenance, as well as asphalt pre-mix production and construction waste recycling. Advising and acting for Indonesian conglomerate Bumi Resources group, which has interest in more than 60 entities around the world, and owns the largest coal exporter in the world, and Bumi Resources’ Singapore subsidiaries, in the restructuring of debt of around US$4 billion. Acted as Singapore counsel for the lenders in the global restructuring of Danish shipping giant Torm A/S with debt of close to US$2 billion (the deal was nominated for the IFLR Restructuring Deal of the Year (Europe) in 2013). Acted as counsel for the liquidators of Beluga Chartering GmbH in obtaining rulings from the Singapore Court of Appeal on novel and significant issues relating to cross-border insolvency and the treatment of company assets where a company is wound up in more than one jurisdiction. Acting for Singapore bank lenders in the restructuring of the Drydocks World group, which manages businesses and projects for the Dubai government and owns the largest shipyard in the Middle East. Advising the bank lenders in relation to debt restructuring of First Ship Lease Trust, a public listed shipping trust with total debt of around US$480 million. Advising on the restructuring of PT Berlian Laju Tanker Tbk, a leading worldwide seaborne liquid bulk cargo transportation specialist and the third largest chemical tanker operator in the world, which is listed on the Indonesian and Singapore Stock Exchanges. Acting for bondholders and their Trustee in respect of bonds issued by Norwegian entities PetroMena ASA (bond amount approximately US$600m) and PetroProd Ltd (bond amount approximately US$335m), in disputes between the bondholders / Trustee and the bond issuers. Such disputes involve insolvency issues in Singapore and the US, and security rights over vessels and rigs in Singapore. Acting for bank lenders in the restructuring of Korea Line Corporation. Advising on the restructuring of the SK Group, one of the largest conglomerates in Korea. Contributor to the Chapter on Insolvency Law in the Singapore Academy of Law Annual Review of Singapore Cases.